Everyone in the world dreams to see Siena one day for several reasons, for its unique shell-shaped square surrounded by Contradas, for the Palio, the Palazzo Pubblico with its tower, the Cathedral and for several amazing architectural treasures but those who come for a wedding really enjoy a once in a lifetime experience! 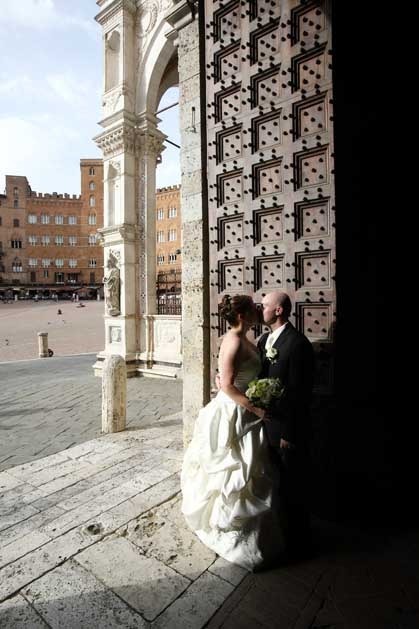 Many beautiful historical churches enrich the heritage of the town coming from the Middle Ages which are amazing venues for a romantic destination wedding in Siena. Catholic weddings for non residents are allowed in the Basilica of the town. The characteristic of this Gothic church erected in 1228-1255 is that was founded on the Egyptian Cross plan, with a large nave originally created to house large crowds of faithful. This is nowadays the most important church in town, where large weddings take place and where weddings for non residents are allowed. 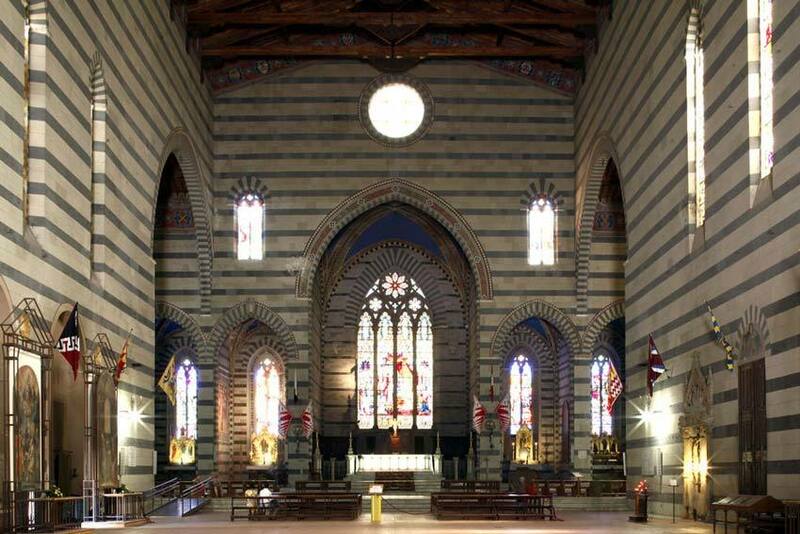 Couples select this church for many reasons, for the simple but stunning neo-Gothic façade, for the beautiful medieval marble decoration and other artworks and paintings that can be admired inside. 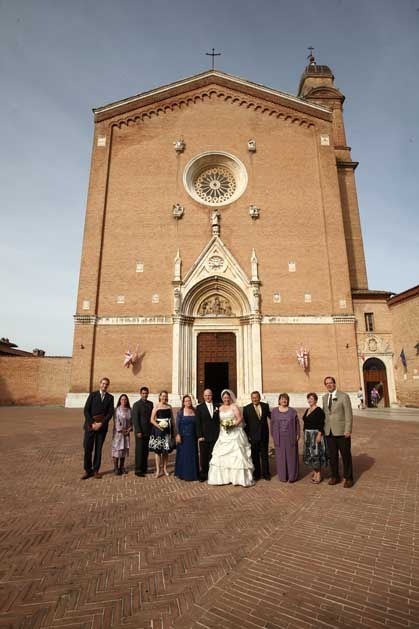 Large destination weddings in Tuscany often find the right atmosphere in this church in Siena for its proximity to the center, to hotels and restaurants. 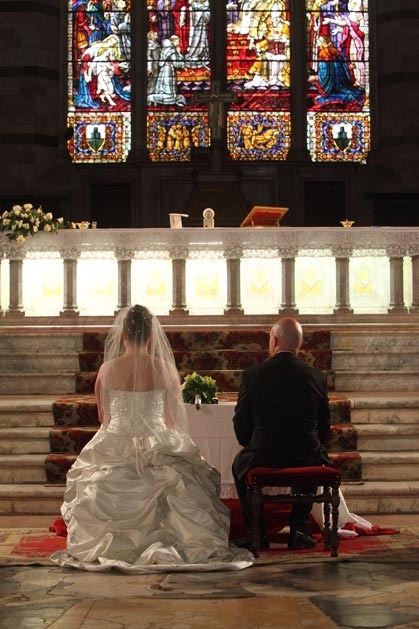 Catholic Wedding ceremonies in Siena are performed by an English speaking priest. Couples will meet this priest some days before the wedding. Catholic weddings with legal validity are allowed and in this case a formality at the Town Hall is necessary too. 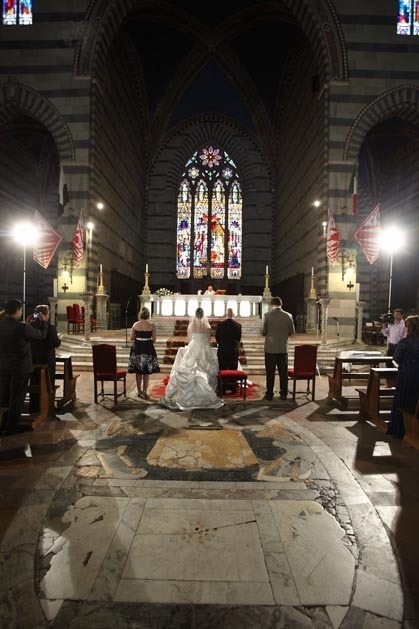 Catholic weddings in Siena can be celebrated all year around, the ceremony takes approx 45 minutes, music is a must and we always recommend to hire at least an organist. Any type of classical instrument is available, sacred music is allowed.